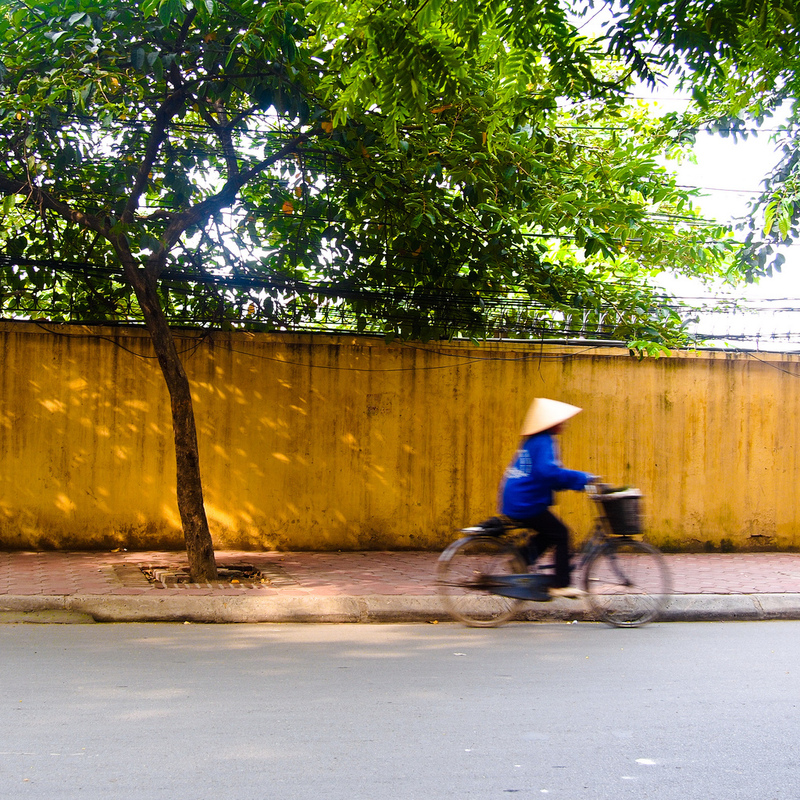 My first morning in Hanoi, I stepped onto the sidewalk to admire the light on this yellow wall. When I had my camera up, I saw the cyclist out of the corner of my eye. I couldn’t have arranged for a more perfect composition and color palette. Sometime life gives you gifts. It was the start of a great experience in Hanoi. Nguyen is the program assistant in Hanoi. 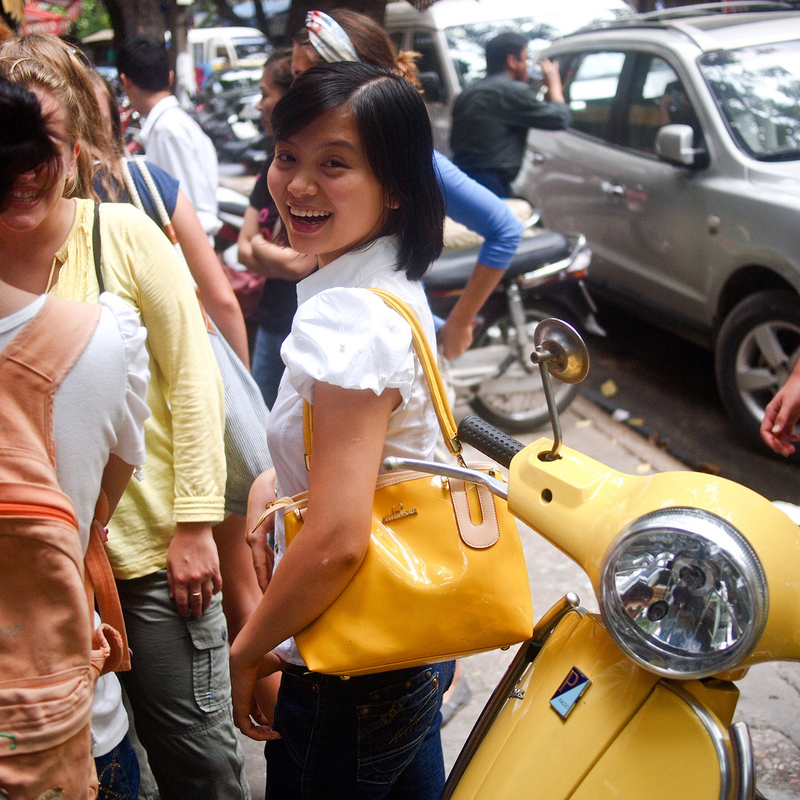 I first noticed the yellow bag and Vespa, and then Nguyen turned and smiled. The students have a great guide for their time in Hanoi!